Playwright Hudes wrote the book for the musical In the Heights, was a finalist in 2007, and won the Pulitzer in 2012 for Water by the Spoonful after which she dared herself to write something “warmer”. Daphne’s Dive is the result. 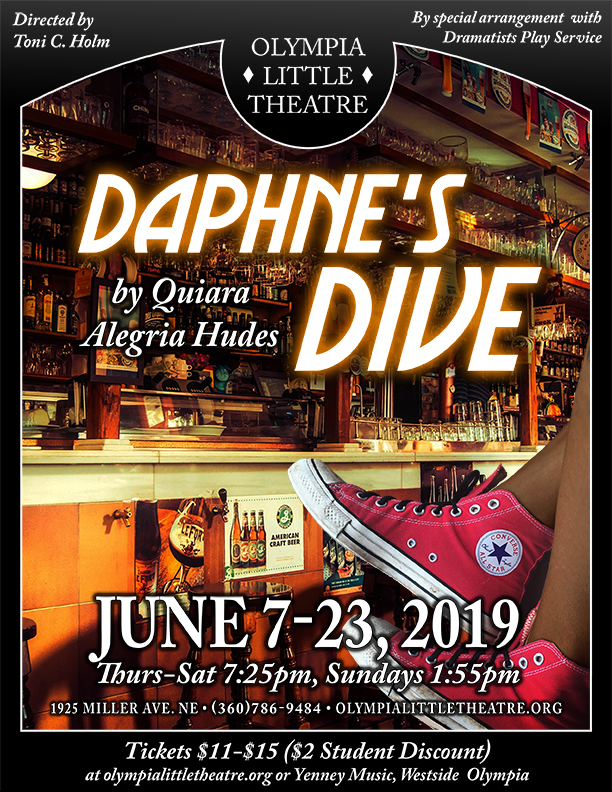 The NY times said, “Daphne’s Dive is the kind of place ‘where everyone knows your name’…And like the characters on Cheers, the regulars at Daphne’s make up an informal family whose triumphs and troubles we come to sympathize.” “Daphne’s Dive has a fierce compassion for its characters’ diversity…there’s an unassailable heart to all of Hudes’ work….” -The Guardian US.